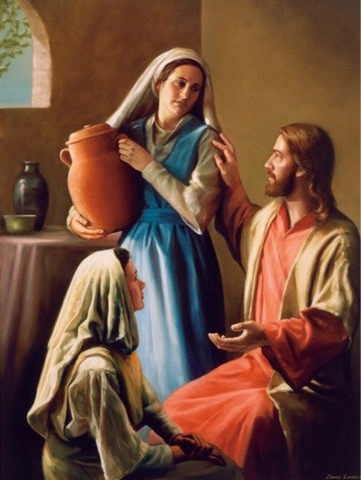 I love this story in the Bible of Mary and Martha.. 2 siblings who no doubt have their normal rivalries and unique gifts and of course complaints about one another.. What two siblings have not had these fault finding issues from time to time? MARTHA WAS SO CAUGHT UP IN HER "work" in preparing for a dinner at her home for JESUS.. can you imagine if Jesus came to your house to eat a meal? that's a high level stressor for sure... Or is it? Would Jesus expect there to be a perfectly clean house, an elegantly set table, a gourmet meal of the finest cuisine? No certainly not.. Jesus loved to just be with his friends, he loved to teach them and show them how much their Father in heaven loves them.. He was more concerned about the people gathered at the home for dinner than the dinner itself. He loves and cares about the hearts and souls of his sweet friends. Mary sat his feet trying to soak up every bit of Jesus' knowledgeable and loving teachings. She simply longed to spend time in the presence of the Lord. 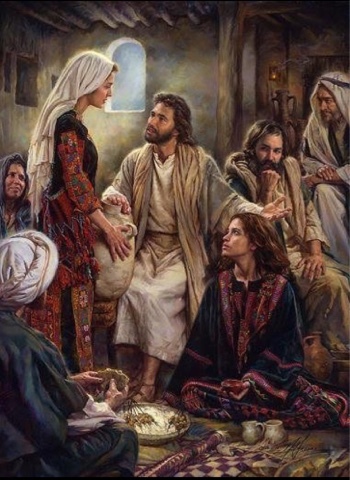 Nothing was more important to her than seeking him , being in his presence..
By contrast Martha thought because she was doing something in the name of ministry.. trying to impress Jesus, that she was just in her complaining of Mary's lack of help in the preparations. HOW MANY TIMES DO WE LET A "GOOD" THING GET IN THE WAY OF THE "GREATEST"THING? We are not human doings we are human beings and yes sometimes we let the good things (even working in ministry or volunteering etc.) get in the way of the greatest thing who is "JESUS" by doing a lot of good things we can miss out on the greatest thing as we can get too bogged down even though the good things are for the Lord. We must seek Him first .. We need to rest in him.. If not .. It's all like chasing the wind..
What am I saying? Well there is a balance in everything.. We cannot not let the most important things slide because we are too busy doing what we think is a good thing.. Nothing will ever be better or mean more to God than us just spending time with Him.. This has to be first..
WE MUST ALWAYS MAKE TIME FOR GOD.. PUT HIM FIRST ALWAYS AND THEN WE SHALL HAVE ALL OTHER THINGS..
LET US RESPOND TO THE MIRACLE OF JUST BEING ABLE TO KNOW GOD!! Is that not the most amazing blessing? Think about that for a minute .. Let that thought rule in your heart.. We get to really know God! I wonder how long she stayed angry with her sister.. Allowing strife into her life..
God has never called us to be perfect in our actions and deeds.. he is so gracious and merciful, he just calls us to love him, to choose him and to put him first in all things! Matthew 6:33But seek first his kingdom and his righteousness, and all these things will be given to you as well.